The Company F Memorial Committee formed in 2007 as a grassroots effort to honor those who trained at the Medina Armory and served actively during time of conflict. It was a joint venture between the Orleans County Joint Veterans’ Council and Medina Sandstone Society. The committee also included family members of veterans as well as the generous support from several businesses and organizations listed below. They created a monument that was erected in the Summer of 2008 and dedicated October 14, 2008. 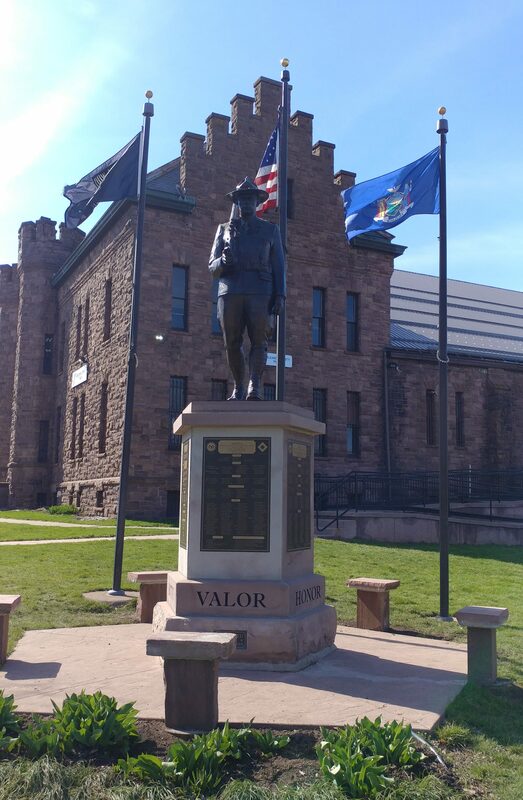 Phase I of the monument creation was funded by grants and public donations from citizens and families of War Veterans. View list of Phase I supporters. 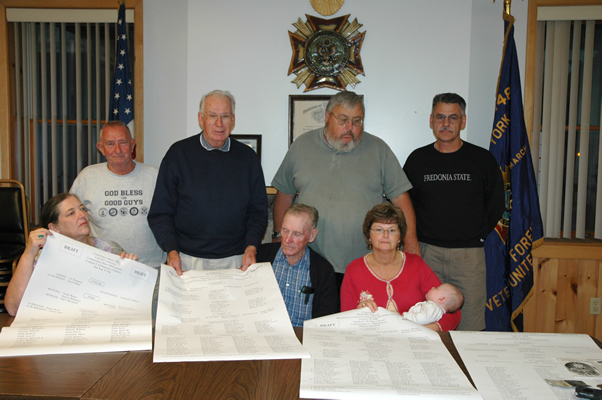 Company F Memorial Committee reviewing rosters in 2007: (seated L-R) Anne McElwee, Don Bensley and Kathy Iorio (standing L-R) Jim Freas, Bill Menz, Joe Franklin and Rich Glass. Bonnie & Tim Payne of Oak Orchard Concrete Co.
Town of Ridgeway Highway Dept. Town of Shelby Highway Dept. View list of Phase I financial supporters.